In the Name of Self-Defense: What it costs. When it’s worth it – Conflict Research Group, Intl. The cell walls seem to close in as he buries his head in his hands. The same thoughts repeat over and over in his fogged mind: It all happened so quick. One second I was getting out of my car, the next he was attacking me. Now I’m being charged with manslaughter! How did this happen? It was self-defense . . . wasn’t it? Prison is filled with people who thought they were defending themselves. Just saying, “It was self-defense” isn’t enough. When you claim self-defense you are basically confessing to a crime. To keep from being convicted you must provide evidence your actions remained within certain boundaries and you acted with just cause. You’re going to have to prove it was self-defense. That’s assuming you stayed inside legal boundaries and acted reasonably in the first place. If you didn’t . . . Now . . . are you sure you know what constitutes actual self-defense? If the honest answer is no, then this book is an absolute must-read! In the Name of Self-defense is an in-depth exploration of what is and what is not self-defense. It covers real-life problems overlooked by most training. Issues that will arise if you find yourself involved in violence. Most of all it will challenge what you think you know about defending yourself. 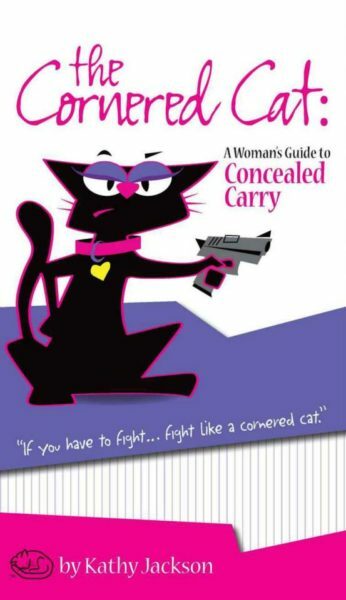 Using the information contained in this book could mean the difference between legitimate self-defense, you laying in a parking lot, or prison! This book presents information unlike any you’ve seen before, focusing not only on the aftermath of an incident, but on what commonly leads to violence and how your actions before, during, and after will make or break your claim of self-defense. Other Books in "Essential - CCW"